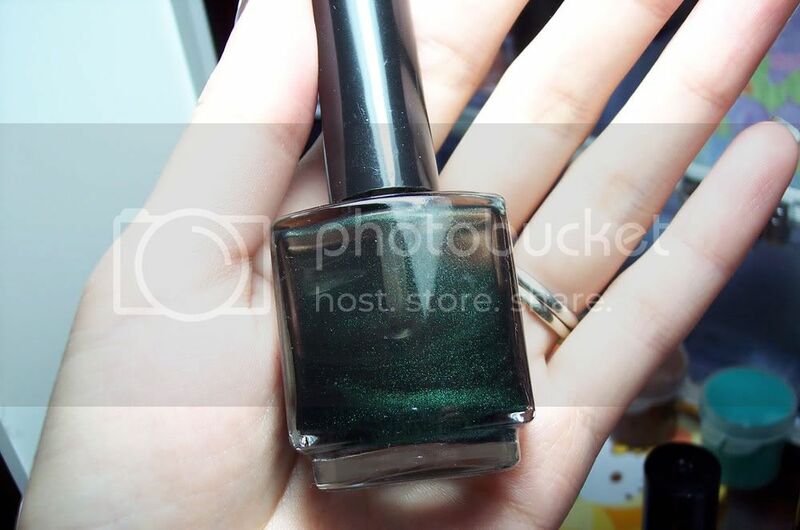 My first franken, 1 part black creme 1 part clear and about a teaspoon of dark green pigment from Everyday Minerals. I can't wait to wear this! Alex took me nail polish shopping and he didn't even complain, amazing. The Loreal was 75% off too! I'm searching for the pretty blue Crackle that's been discontinued I will take pictures of the yellow one you see up front in this picture soon. Nice polishes. A non-complaining man takes you nail polish shopping! Lucky you. Did you buy something for him?